The Stages of Gray Theatre Company exists to bring true artistic expression to the community while enriching the lives of its performers. Working with actors of every age range, ethnic background, disability/ability. We seek to brighten the world around around us as we educate and perfect the abilities of our performers, by developing and producing theatrical programs with purpose, passion, and personality. Our motto is simple, "True theatre should lift you to the heavens, carry you to the depths, and change your perspective of the world around you as a result of the journey." 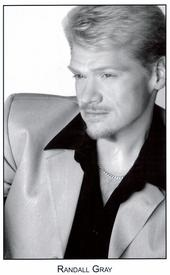 An award winning actor, director, writer and producer who has authored numerous theatrical productions as well as television and motion picture scripts, Randall has worked in the world of fine and performing arts for thirty-six years, has directed 106 major theatrical programs around the world. His acting credits include Jean Val Jean in Les Miserable’s, The Phantom in Phantom of the Opera, and Tavia in Fiddler on the Roof. Mrs. Gray has been intricately involved in the world of professional management and leadership for forty-five years. She holds a BA in Business Management and a Master’s Degree in Education, as well as earning various professional certifications. Barb has long been involved in multiple aspects of the production world, including performing, writing and	promotions and marketing. She is an accomplished writer of poetry and prose, with several pieces published internationally. She has multiple years of management, marketing, and leadership skills and training. Alexander Nifong is an actor, designer, and musician, hailing out of North Carolina, who studied theater arts at NYU Tisch, as well as the Patravadi Theater in Bangkok, Thailand. As an actor, his most recent performance was as a young blind man named Sam in Pretty Little Liars. As a designer, he specializes in lights, with his most recent design work having been a running of Bang! Bang! You're Dead!